The weather is changing! Cooler temperatures mean it's time to open the other side of your closet--you know, the side with the long sleeves and hoodies that get ignored during the dog days of summer. It's about time you showed them some love. And the best part about this time of year? The mild weather and dwindling crowds give you a good excuse to get away from the day-to-day grind and spend some time outdoors. Running, hiking, camping, hunting, fishing, kayaking, rock climbing--the possibilities are endless. 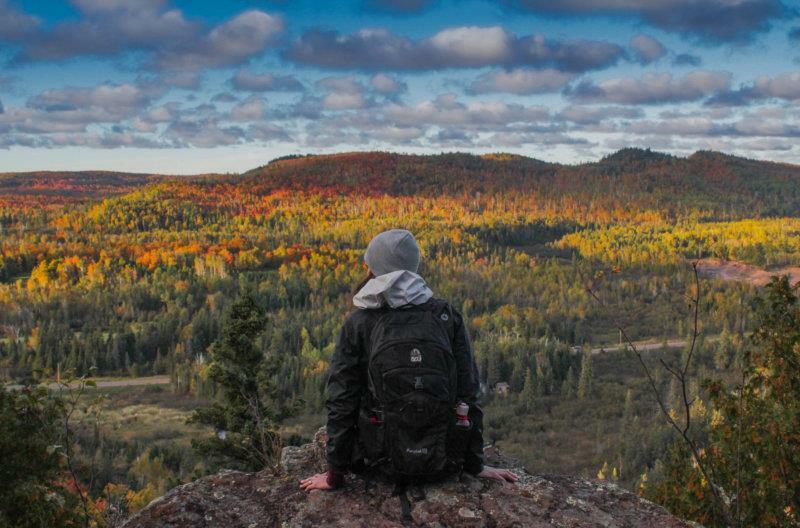 While you're busy deciding what activity to plan first, here are some awesome ideas for helping you gear up for Fall. Deluxe Voodoo Jungle Boots: Rugged and ready for anything, these boots are perfect for field ops, hiking, outdoor work and everyday wear. Deluxe Voodoo Jungle Boots have all the protection and performance you need in a lightweight design geared for active maneuvers. These durable boots are constructed with a micro fiber poly-leather that offers easy wear and care, plus waterproof protection to keep you comfortably dry in wet conditions. Woodland Digital Camo BDU Shirt: The stylish BDU Shirt Jacket offers maximum utility with four large button-down bellowed pockets and front button pocket with a secure flap closure and adjustable button tab cuff sleeves. 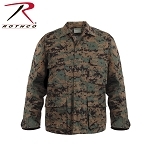 For added durability, Rothco's BDU Fatigue Shirt features reinforced elbows and double stitched seams. Matching Camo BDU pants and uniform accessories are also available. Camo Backpack with Orange Pull-Out Flag: Hunters, this is for you. 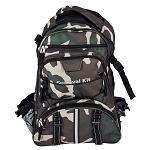 This high-quality camo backpack is perfect for hunters at any skill level, and its camo pattern will help adapt to your surroundings. It has many pockets that are perfect for storing your hunting and personal supplies. 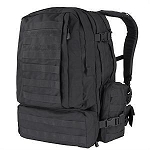 There are straps on both sides with pockets beneath them, great for strapping your firearm to your bag while you walk. There's also an orange flag that can be pulled out through the front pocket when needed. CPR Savers 72-Hour Survival Backpack Kit: This survival kit provides enough food and water to last 2 people the first 72 hours of an emergency and comes with 2 personal hygiene kits and sanitation supplies for added comfort. Tools such as a 16-in-1 pocket tool, respirator mask, work gloves, safety goggles, and 50 feet of rope will help provide additional protection and ease during any emergency outdoor situation. 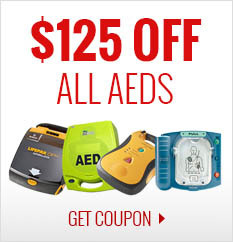 Wherever you go this Fall, be sure to check out CPR Savers for the latest selection of outdoor gear and apparel!